Click the semester to skip down the page. Click "back to top" to return to the top of the page. Future University of Nebraska System calendars from 2018-2019 and 2019-2020 are available here. These calendars include begin and end dates as well as holidays and breaks for the fall and spring semesters. Last day before 12:00 midnight to DROP a course via MavLINK from the "General" session and receive a 100% refund. To register for a course in the "General" session after this date, a student must have a permission number and register via MavLINK. This is also the last day to add a course as Audit with the half-price tuition rate for audit courses. Audits must be done in person at the Office of the University Registrar, EAB 105. Classes resume at 6:00 a.m. This is also the last day in the "General" session to change to "CR/NC" option in a course. CR/NC option must be done in person at the Office of the University Registrar, EAB 105. Last date before 12:00 midnight to withdraw via MavLINK from a "General" session course with a grade of "W"
The Summer session is divided into 5 individual sessions. Last day before 12:00 midnight to DROP a course via MavLINK from SESSION 1 and receive a 100% refund. To register for a course in SESSION 1 after this date, a student must have a permission number and register via MavLINK. This is also the last day in SESSION 1 to add a course as Audit with the half-price tuition rate for audit courses. Audits must be done in person at the Office of the University Registrar, EAB 105. This is also the last day in SESSION 1 to change to "CR/NC" option in a course. CR/NC option must be done in person at the Office of the University Registrar, EAB 105. Last date before 12:00 midnight to withdraw via MavLINK from SESSION 1 with a grade of "W"
Last day of Summer term. Summer degrees conferred. Last day before 12:00 midnight to DROP a course via MavLINK from SESSION 2 and receive a 100% refund. To register for a course in SESSION 2 after this date, a student must have a permission number and register via MavLINK. This is also the last day in SESSION 2 to add a course as Audit with the half-price tuition rate for audit courses. Audits must be done in person at the Office of the University Registrar, EAB 105. This is also the last day in SESSION 2 to change to "CR/NC" option in a course. CR/NC option must be done in person at the Office of the University Registrar, EAB 105. Last date before 12:00 midnight to withdraw via MavLINK from SESSION 2 with a grade of "W"
Last day before 12:00 midnight to DROP a course via MavLINK from SESSION 3 and receive a 100% refund. To register for a course in SESSION 3 after this date, a student must have a permission number and register via MavLINK. This is also the last day in SESSION 3 to add a course as Audit with the half-price tuition rate for audit courses. Audits must be done in person at the Office of the University Registrar, EAB 105. This is also the last day in SESSION 3 to change to "CR/NC" option in a course. CR/NC option must be done in person at the Office of the University Registrar, EAB 105. Last date before 12:00 midnight to withdraw via MavLINK from SESSION 3 with a grade of "W"
Last day before 12:00 midnight to DROP a course via MavLINK from SESSION 4 and receive a 100% refund. To register for a course in SESSION 4 after this date, a student must have a permission number and register via MavLINK. This is also the last day in SESSION 4 to add a course as Audit with the half-price tuition rate for audit courses. Audits must be done in person at the Office of the University Registrar, EAB 105. This is also the last day in SESSION 4 to change to "CR/NC" option in a course. CR/NC option must be done in person at the Office of the University Registrar, EAB 105. Last date before 12:00 midnight to withdraw via MavLINK from SESSION 4 with a grade of "W"
Last day of SESSION 4 classes and last day Summer term. Summer degrees conferred. Last day before 12:00 midnight to DROP a course via MavLINK from SESSION 5 and receive a 100% refund. To register for a course in SESSION 5 after this date, a student must have a permission number and register via MavLINK. This is also the last day in SESSION 5 to add a course as Audit with the half-price tuition rate for audit courses. Audits must be done in person at the Office of the University Registrar, EAB 105. This is also the last day in SESSION 5 to change to "CR/NC" option in a course. CR/NC option must be done in person at the Office of the University Registrar, EAB 105. Last date before 12:00 midnight to withdraw via MavLINK from SESSION 5 with a grade of "W"
Last day of SESSION 5 classes and last day of Summer term. Summer degrees conferred. Deadline for submitting an application for admission to an undergraduate college for Fall 2019. 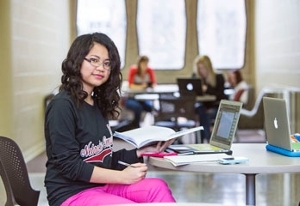 Academic calendars are kept up to five years past the current academic session.